A couple of weeks ago, I posted Of Mice and Library Books. It had been a day, I was so very tired of listening to mice running around, and completely stressed out about all my library books. I had over $20 in accrued fines, plus another $0.70 already on the account. Thirty-two books either late or due. And I had no idea which I had put into the book drop and which I hadn't. Well, I ended up owing $1.40 when all was said and done... except I had one (already two weeks late) book that didn't get returned. I didn't find it to return it last week either. This morning, I received a threatening email about that top one... Seeker of Knowledge... that was due in mid-August. Around noon, I found it. I wasn't actually even looking for it. 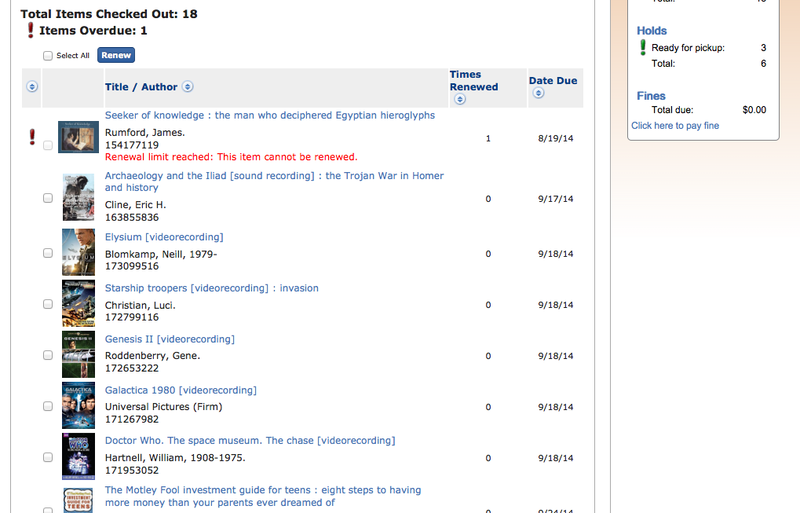 So when I visit the library this week, I'll be able to clear that off of there without paying the $17 to replace it. As to the mice, we've still got at least one. Nothing like what it was like a couple weeks ago, where I could hear multiple mice scurrying pretty much all evening. This one is more likely to be scurrying in the morning. Hopefully one of the six million traps I set eventually gets it. Okay, there aren't really six million. Two glue traps. Three "advanced" traps where you don't even have to see the mouse. Two traditional wood snap traps. And four "bait stations." I'm going to add two more glue traps soon. And two different "advanced" ones as well. I think UPS is delivering those now. So that is a total of 15... almost six million, but not quite. Almost all of the above are review products too. How cool is that? Sounds like you need a cat or 2! Also we put our library books in a basket all by themselves because I have been there with an intermingle of our books and library books! We used to have cats outside! That was really awesome, as we never ended up with mice when we had them. I need to come up with a better library system... but I think the bigger problem here was people not really paying attention as they helped to clean up. I'm just glad the book was found.